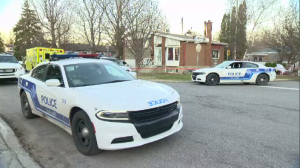 A fundraiser for the St. Patrick's parade in Chateauguay turned sour on Saturday when thieves stole most of the money that had been raised. Thousands of dollars were raised on Saturday at the 55+ Centre, as musicians played and a gathering of judges, including CTV Montreal's Stephane Giroux, selected the parade's queen and court. All funds collected during the evening were kept in a box that was guarded until the moment musicians were paid. At some time after that the cash box disappeared, only to be found later having been cleaned out of almost all its contents. Organizers estimate that more than $4,500 was stolen, money collected from admission tickets, drinks, and a raffle. Nancy Martineau of the Chateauguay and Valley Irish Heritage Association said recovering the cash and paying for the upcoming parade will be difficult. "I know for sure we're talking over $10,000 in expenses for just that one event, so it's going to be rough, it's going to be rough if we can't find the money," said Martineau. “I said ‘I don't know how we're going to do the parade.’ It's a big chunk of our money. We spend $15,000 every year on our parade,” said McGinn. Not holding the parade is out of the question, said Chateauguay Mayor Pierre-Paul Routhier. “The parade will happen. We'll just make sure that it will happen,” he said. Police are investigating the theft. McGinn said that unfortunately, the building’s security cameras weren’t very helpful. “The way the cameras are positioned and where it happened we couldn't see anything it was too dark,” he said. 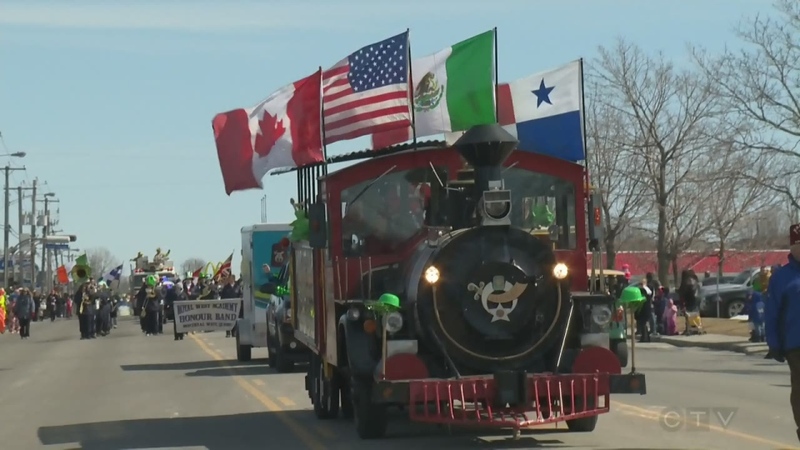 The association is trying to recoup the money through more fundraising, but time isn’t on their side: The St. Patrick's Day parade takes place in Chateauguay on March 24, 2019. The St. Patrick's Day parade in Chateauguay.